3',4'-Methylenedioxy-N-tert-butylcathinone by library match. 3,4-MDPHP ruled out. 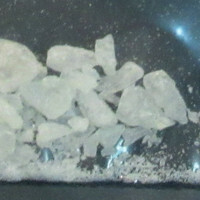 White crystalline powder sample sent in from Baltimore, Maryland, USA. On April 7, 2017, the lab confirmed this is MDPT(tBuONE) (aka 3',4'-Methylenedioxy-N-tert-butylcathinone) with a lab standard.